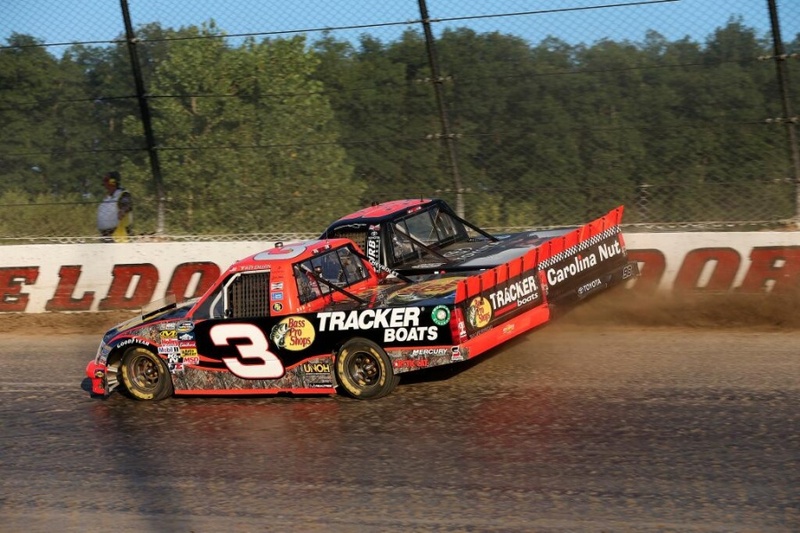 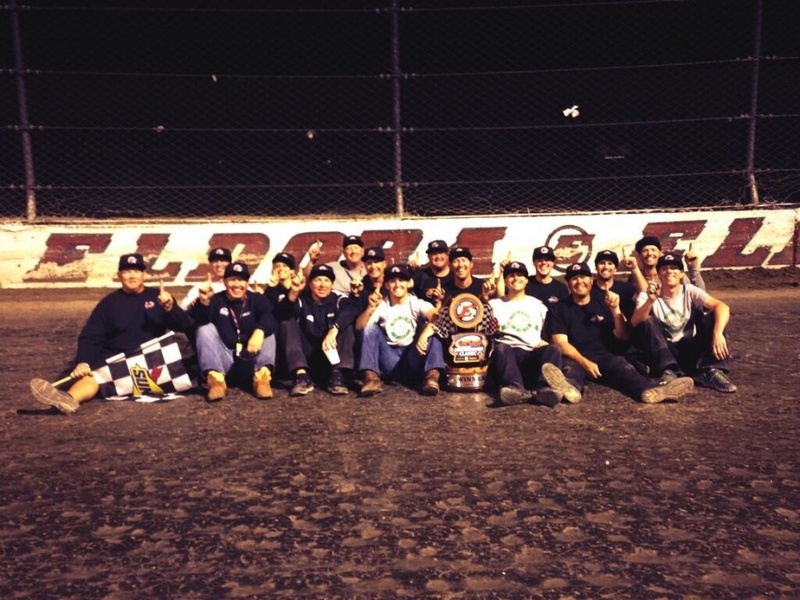 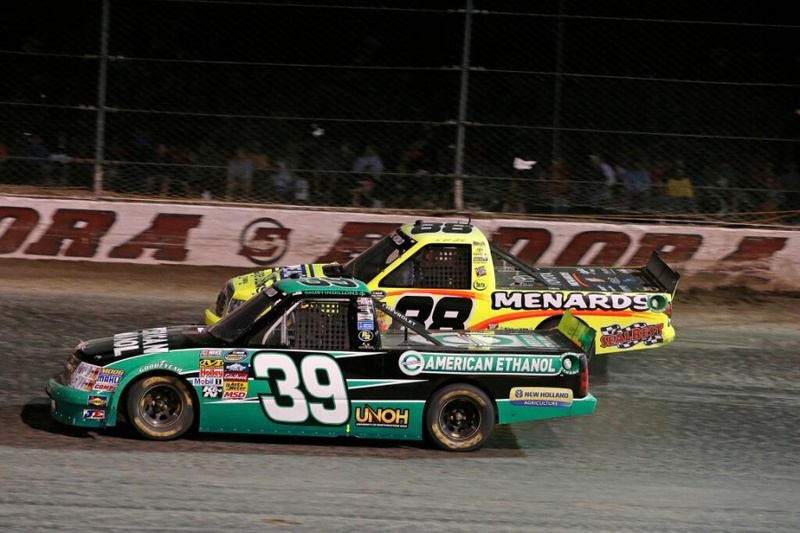 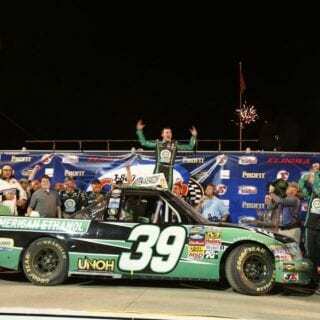 Eldora Speedway results proved favorable for Austin Dillon. 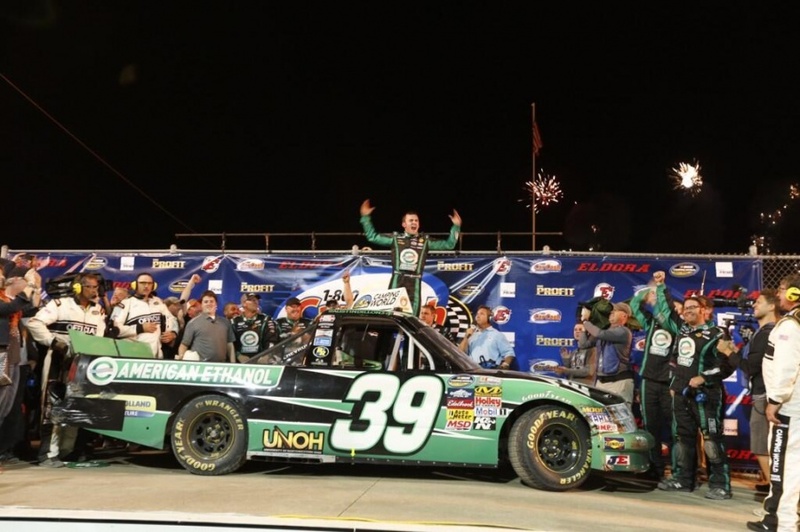 Making his first NASCAR Camping World Truck Series start since earning the 2011 driving championship, Austin Dillon earned a memorable and historic race win in the No. 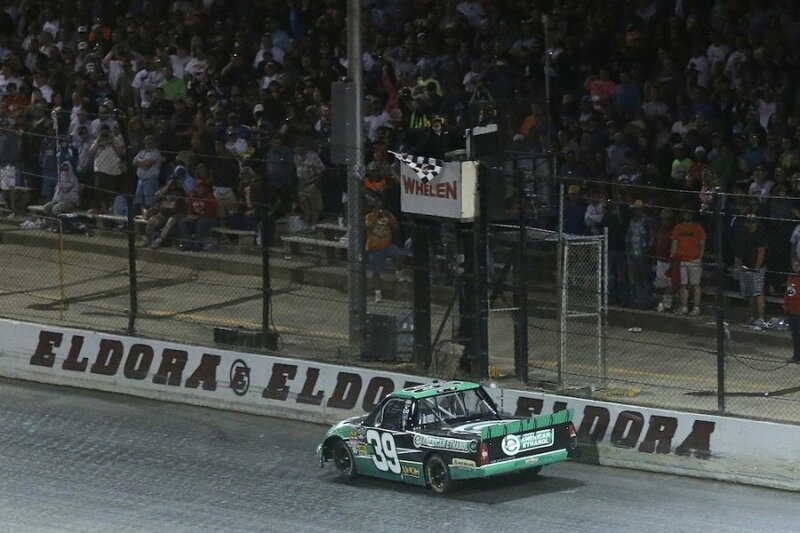 39 American Ethanol Chevrolet on Wednesday evening at Eldora Speedway. 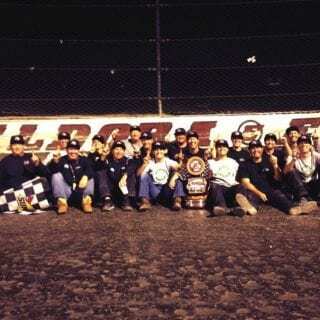 The eldest grandson of Richard Childress drove from the 19th starting spot to Victory Lane, winning the first NASCAR national series race on dirt since 1970. 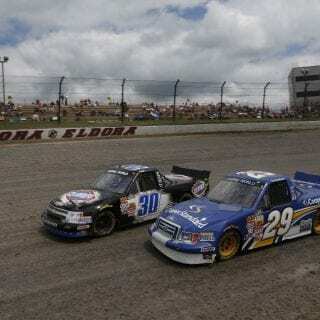 Austin Dillon advanced to sixth by lap 31 on the initial start, posting some of the fastest lap times in the 30-truck field. 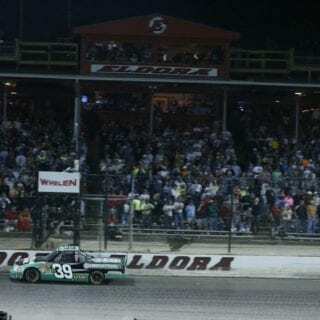 He was scored in the fourth position by the time the caution flag waved on lap 54, signaling the end of the first of three pre-designated segments. 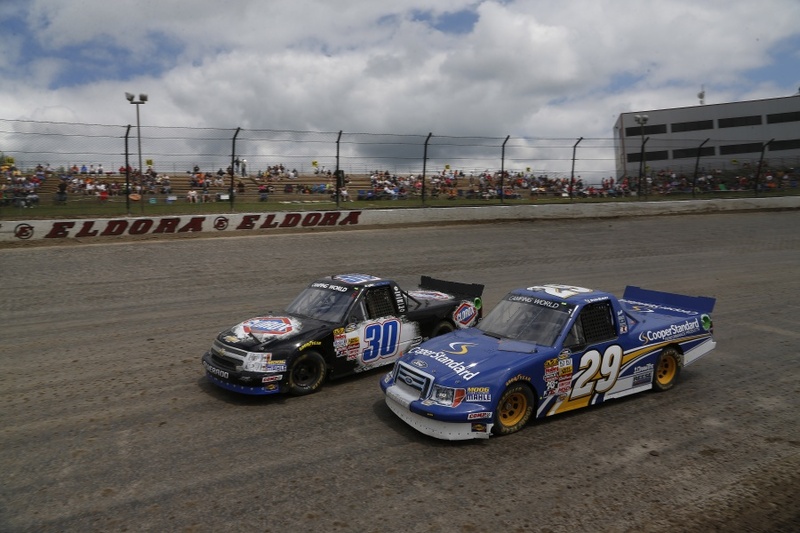 During the segment break, the Danny Stockman-led crew pitted for four tires, fuel and a track bar adjustment. 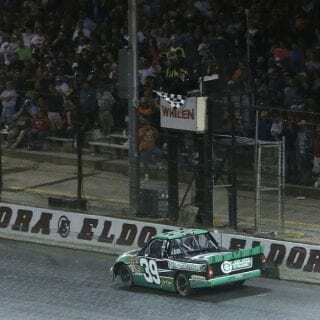 Restarting from the fourth position for the second segment, Dillon took the race lead on lap 89 just as the caution flag was displayed to the field for an incident. 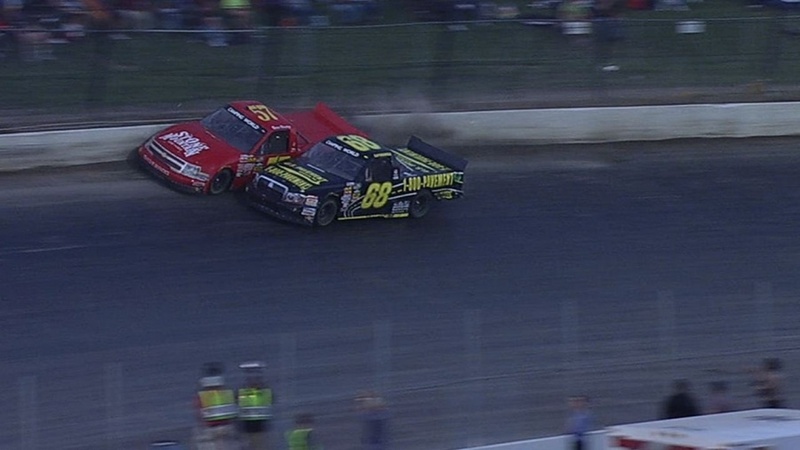 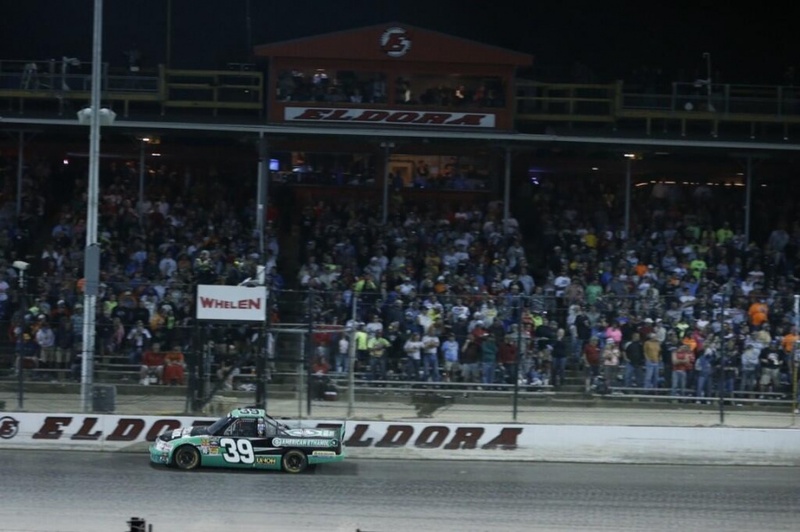 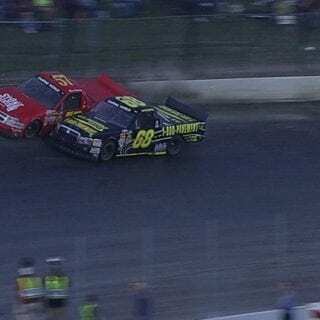 He led the field to the restart on lap 96 and remained the race leader through the remainder of the second and third segments, surviving a green-white-checkered restart that extended the race three laps past its advertised distance to secure the win on the Eldora Speedway result sheet.